I will remember this year as the most rewarding year in my professional life. 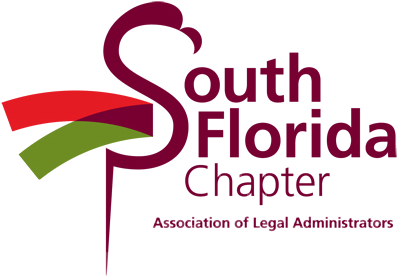 As the Annual Conference Committee Chair, I have had the privilege to spearhead ALA's premier annual event. From the beginning, conference planning was on fast forward, as in preparing our membership for the future-today. But the challenge was to make that future tangible in terms of actionable knowledge and powerful connections. That's why the theme, An Education & Networking Mosaic, was selected. We wanted to bring all the pieces together in one place at one time to move the business of law forward. I, along with my committee members, am excited to invite you to the 2014 ALA Annual Conference & Exposition. Below are just a few of the highlights. Education: Be prepared for compelling content that goes beyond learning. With more than 90 educational sessions, conference attendees from government, corporate, independent, international, large firm and functional specialist sectors can each customize their learning experience. Networking: Take part in new networking opportunities such as the Leadership/Newcomers' Connection and the IDEA Awards. Keynote Speakers: "Endeavour to Succeed" will be delivered by Captain Mark Kelly, a retired combat pilot and former Commander of the Space Shuttle Endeavour and his wife, former U.S. Rep. Gabrielle "Gabby" Giffords. Their address promises to be an inspiration in both our professional and personal lives. The Legal Marketplace: We welcome more than 200 exhibitors with the latest product and service innovations under the new banner, The Legal Marketplace. Attend HIVE sessions, learn social media and relax and plug-in your electronic devices at the Recharge Lounge. An investment for everyone's future: Attending the conference is an investment, not only for your firm, but in yourself. ALA is the premier leader in the business of law, and I'm delighted that, as part of ALA's new strategic focus, the Association is able to showcase this for you in Toronto during the 2014 ALA Annual Conference & Exposition. We look forward to being a part of your NEW inspiration, as you reconnect with your colleagues, connect with new and old friends, and explore the opportunities to lead your organizations into the future. As befits this unique, valuable, professional experience, we ask that attendees dress in business casual or professional attire for all official Annual Conference events. No jeans, shorts, or sandals please. I look forward to seeing you in Toronto!